Longer careers and better health later in life could be on the cards for older Australians if workplaces were more age-friendly and promoted healthy lifestyles to their employees, a new study from Australian National University (ANU) in Canberra has found. The study, run in collaboration with the ARC Centre of Excellence in Population Ageing Research and the Centre for Research on Ageing Health and Wellbeing (CRAHW) was conducted over the course of a year and used workforce transition data from a 10 year period (2001-2011) from the national HILDA survey of 1,700 people aged 45-64. Results from the surveys allowed assessments on yearly changes in health, wellbeing and welfare dependency in relation with workforce transitions from paid work to unpaid work or early retirement, when compared to others who were staying in paid work. Lead researcher from the Centre for Research on Ageing, Health and Wellbeing within the ANU Research School of Population Health Dr Cathy Gong says the study revealed that health was the ‘primary and crucial factor’ underlying both voluntary and involuntary exits from paid work at mature ages. “People who left paid work involuntarily experienced significant decreases in their satisfaction with their finances, health and life just in general,” Dr Gong says. Dr Gong adds that people who had a sense of control over their environment and life changes had better wellbeing. “People who are forced to retire early due to job loss or their own health report significant declines in their income and wellbeing in retirement,” she explains. Co-researcher Professor Hal Kendig from CRAHW says the findings suggest that employment policies and practices need to change to improve mature aged workers’ control of their health and work environment. 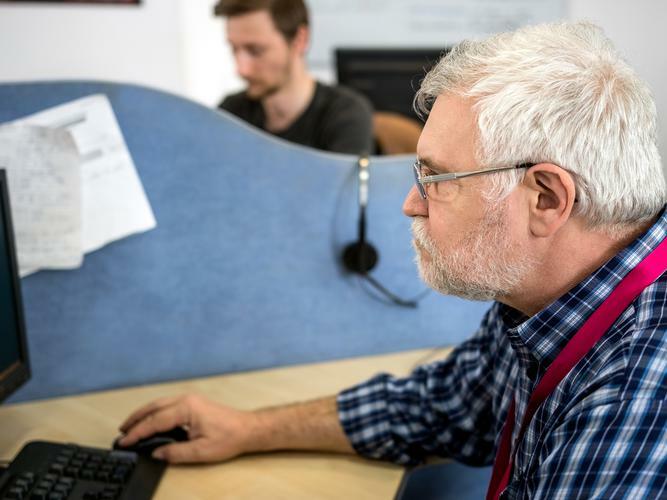 “Age-friendly workplaces, work flexibility, retraining and promotion of healthy lifestyles are vital to address the major causes of not working, enable people to have longer careers and enhance wellbeing later in life,” he says. “Voluntary retirement with control over the timing and manner of retirement had positive impacts on retirees’ psychological and social wellbeing. With anticipated workforce shortages, increased welfare expenditure and pressure on fiscal sustainability projected over the coming years due to Australia’s rapidly ageing population, the researchers say looking after older workers could enable to older population to work longer, contributing to meeting the challenges ahead. Though Australia has legislation to address age discrimination within employment, Dr Gong says there are still ways that employers and the government can aid older Australians to continue working longer and more happily. “A mature aged workers’ control of their health and work environment is found to be able to enhance wellbeing later in life, promoting health over the life span and age-friendly workplaces are fundamental to encouraging mature aged workers to work longer and to return to paid work after workforce transitions,” Dr Gong explains. “Employers can enhance control, flexibility, workplace health promotion, and re-training among valued aged workers… governments can build human and social capital through health promotion and education across the life course. The researchers add that more fundamental structural change in workplaces requires attention to underlying ageist attitudes, and creating age-friendly workplaces with a good combination of workers at different ages is vital. The full study is available to view online via the Australian Journal on Ageing.